Buy 1 for $19.52Buy 2 / Save $1.04!Buy 3 / Save $3.91! The leaves for this tea come from the Yunnan Dayeh variety of tea tree - which is purported to be closely related to the original tea tree of pre-glacial times. 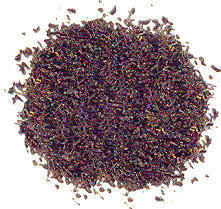 It is certain that this pu-erh is rather unusual and has properties many other teas do not share. The method of production is: The tea leaves are picked, rolled, withered in the hot sun, after which they are steamed and pressed into cakes. (This pu-erh is broken up out of the cakes to make it easier to deal with). The steaming process generates some moisture and when compressed (without drying) into the cakes, in the course of time the tea takes on a musty and earthy character. Pu-erh that gets somewhat moldy before it naturally dries is considered the best. Pu-erh is then stored for years. As with wine, young pu-erh is considered the least valuable whereas pu-erh 5 years or older is more highly prized. Interestingly the taste of pu-erh becomes more mellow with age and perhaps more acceptable to the western palate. The taste has been described as mellow, however those not accustomed to it might not enjoy the "old" character. For others though, this flavor will add to its aura of wonder. Some consumers have recommended that pu-erh be blended with chrysanthemum florets to make the taste more acceptable. In fact this blend can be ordered in tea houses in southern China and Hong Kong. Hot tea brewing method: Bring freshly drawn cold water to a rolling boil. Place 1 tea bag for each cup into the teapot. Pour water into teapot to cover the bag(s) - pour the water of - in effect you are "rinsing" the tea. Next pour the boiling water into the teapot over the "rinsed" tea bag(s). 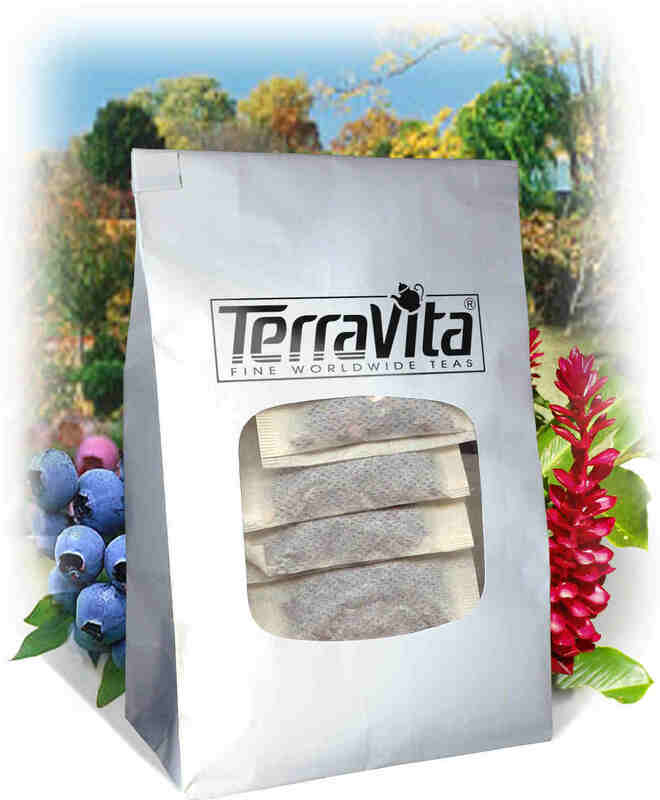 Cover and let steep for 3-7 minutes according to taste (the longer the steeping time the stronger the tea). You may add milk and natural sweetener to taste though this is generally not done. Iced tea brewing method: not recommended - however if you do: (to make 1 liter/quart): Place 5 tea bags into a teapot or heat resistant pitcher. Pour 1 1/4 cups of freshly boiled water over the tea. Steep for 5 minutes. Quarter fill a serving pitcher with cold water. Pour the tea into your serving pitcher straining the bags. Add ice and top-up the pitcher with cold water. Garnish and sweeten to taste. This is one of the best-tasting green teas I have ever tried. I just placed an order for 3 more bags so I don't run out again!